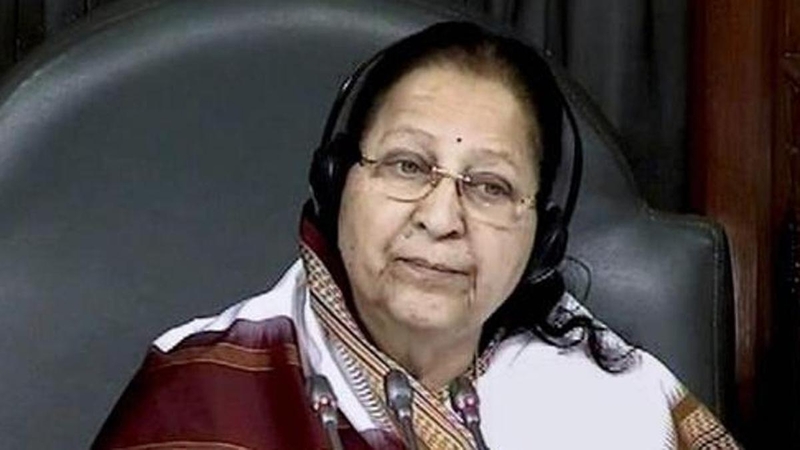 Amid speculation on her candidature from the Indore constituency, outgoing Lok Sabha Speaker Sumitra Mahan said Friday she won’t contest the elections and has freed her party from making its choice. Mahajan has won eight times on the trot from Indore. She said, ““I am not a political person. I had made my stand clear to the party,’’. Mahajan will turn 76 this month — crossing the red line of 75 drawn by the BJP for leaders to be in active politics but followed selectively. The BJP has not fielded many of its veterans, including former president’s L K Advani and Murli Manohar Joshi, in the Lok Sabha elections. Earlier, she skipped an event in Indore where the BJP had made arrangements for showcasing Prime Minister Narendra Modi’s ‘Main Bhi Chowkidar’ Delhi event. She is also among the few senior BJP leaders to have not prefixed Chowkidar to their names on Twitter.